Spring is a wonderful time – the weather gets warmer, birds chirp and flowers bloom. But it’s also when we begin to notice all of the household chores that have been piling up over the winter. For many of us, our kitchens, bathrooms, windows and backyards spent the winter ‘hibernating’ under layers of clutter and grime. So while Mother Nature is busy refreshing the world outside, we are left to tackle our homes and yards. 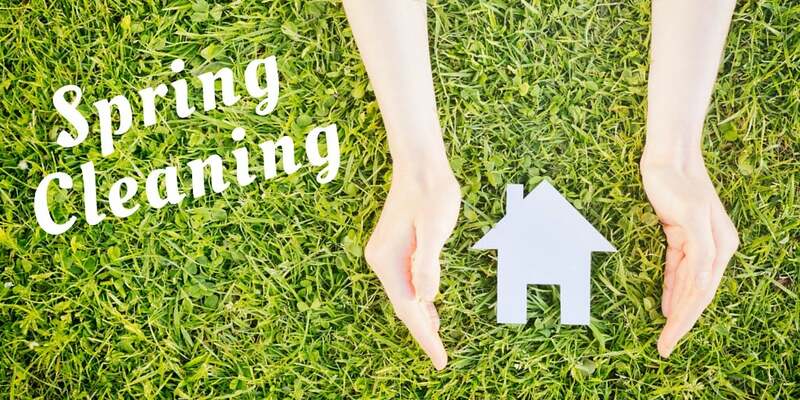 Here are 10 important Spring Cleaning projects to get your home ready for the warmer months ahead. 1. CLEAN THE WINDOWS. There are a lot of ideas floating around about the best way to do this (crumpled up newspaper and vinegar, for example), but a simple solution of dish soap and warm water along with a new or like-new squeegee will typically give you great results. Are your windows extra grungy or covered with water stains? Grab an S.O.S® Soap Pad! They clean water stains on glass doors and windows with ease – click here to see them in action! One last tip; save window washing for a cloudy day as direct sunlight can dry most any cleaning solution too fast and leave streaks. 2. BASEBOARDS, WALLS AND DOOR FRAMES. Many of us skip these areas in our regular cleaning, so Spring Cleaning is the perfect time to give these surfaces a good wipe down. 3. CEILING FANS AND WALL ART. Speaking of often-overlooked areas, dust all ceiling fans. If this isn’t a part of your routine cleaning, you’ll be unpleasantly surprised at how much dust accumulates on the blades. Carefully dust all wall art and photographs with a microfiber dusting cloth. 4. WINDOW TREATMENTS. Vacuuming blinds with a brush attachment is an effective cleaning method for wood, metal or plastic blinds. Close blinds all the way to expose the most surface area. 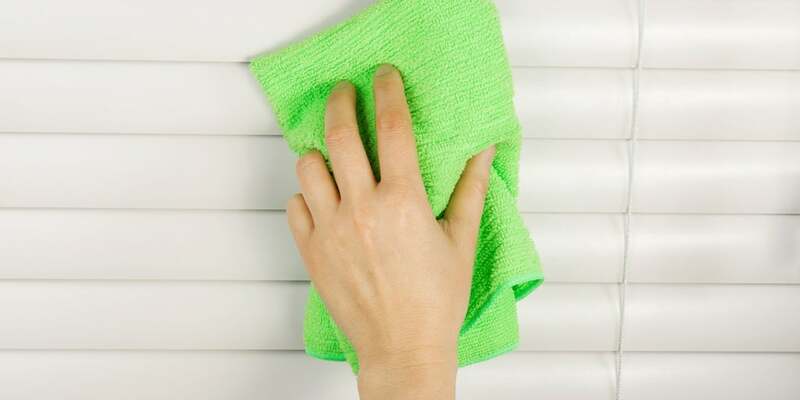 For a deeper clean, wooden blinds can be wiped with a gentle wood cleaner, whereas plastic and metal blinds can be removed and bathed in a solution of warm water and dish soap. Dry each slat with a soft towel to prevent spotting. Depending upon the material, curtains can typically be vacuumed and then steam cleaned, dry-cleaned or even thrown in the washing machine (follow any label directions). 5. CLEAN OUT KITCHEN CABINETS. This can be daunting, but makes a huge impact. The first step is taking everything out of the cabinets to wipe down the insides with a gentle cleaner. Before putting everything back, organize and minimize. Sort plastic storage containers and throw out any that are stained or missing lids. Look through baking supplies, condiments and canned goods to check for expiration dates. Take stock of what utensils and kitchen supplies you actually use, and donate as you see fit. That never used electric can opener you received as a wedding gift could be sold or donated! Finish the job by wiping down the outside of all cabinets. 6. CLEAN OUT THE REFRIGERATOR. Much like the cabinets, start by taking everything out to give shelves and drawers a good scrubbing. From dripping strawberry cartons to leaking condiment bottles, sticky stains seem to multiply over time in a fridge. S.O.S® Soap Pads are the perfect tool for scrubbing removable, glass shelves. Simply wet the pad, scrub away the sticky mess, and rinse. Once all fridge surfaces are clean and shiny again, check expiration dates and throw out anything expired and then put the rest of the food away. 8. CLEAN OUT THE GUTTERS. Yes, not not typically a ‘fun’ job. But a little work now to remove debris and check for damage is well worth it to avoid future damage to your home’s exterior or foundation should the gutters stop diverting water like they’re supposed to. 9. CLEAN PATIO FURNITURE. Cleaning plastic or unpainted metal patio furniture is easy with S.O.S® Steel Wool Soap Pads. Just wet the pad, scrub away dirt and grime, and rinse with a garden hose. More delicate patio furniture, such as teak, can typically be cleaned with a soft scrub brush using water and a mild oil-based soap. 10. SWAP OUT OUTDOOR TOOLS. If you live where it snows, clean and put away shovels, salt and snow brushes. Check the owner’s manual of your snow blower for how to best prepare it for off-season storage. 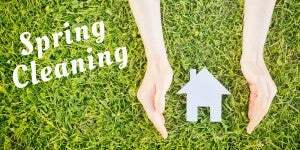 Bring out your garden tools, kids’ outdoor toys and lawn mower, taking care to prepare the lawn mower for spring as needed – gas, oil, blade sharpening, etc. Spring Cleaning provides an opportunity to throw open the windows, let in some fresh air and make our living spaces clean and organized. Get started – and give summer the welcome it deserves! Do you have any spring cleaning tips or tricks? Share them in the comments below or on the S.O.S Facebook page. Don’t forget to follow us on Facebook, Twitter, Pinterest and Instagram, too! I would like to know what the ingredients are in the soap used in S.O.S pads. Because I keep a Kosher kitchen, I need to know that no animal products are therein. I will truly appreciate an answer. Thank you. Hi Roslyn! A list of ingredients found in our products can be found via links on each of the product pages on this website. For your convenience, click this link for the ingredient list for S.O.S Soap Pads: https://www.thecloroxcompany.com/products/ingredients-inside/en-us/sos/sossteelwoolsoappads/. If you have any other questions, don’t hesitate to let us know! Awesome article! I browse your site regularly and I always find great information. I shared this post on Facebook and my followers really enjoyed it. will SOS pads remove tarnish from jewelry? No, that’s not a recommended use for S.O.S Soap Pads.